You wouldn’t usually expect to come across a former English player abroad teaching in a school in Doncaster but for the pupils of De Warenne Academy talking shop with a man who’s played in the Philippines is a daily occurrence. Grayson is back in the UK after spells in Sweden, Australia and Asia but his footballing career started a lot closer to home for his boyhood club Doncaster Rovers. “It was brilliant,” says the striker recalling his days with the Rovers. “The best experience of my life so far was to come on and make my debut for my home town, who I had a season ticket and supported when I was younger. The 2010/11 season was the forward’s breakthrough as he made his debut as a substitute in a League Cup match against Accrington Stanley and then went on to make the bench three times in the Championship. However, despite being on the fringes of the first team, he was released in 2011. After his release, Grayson drifted into non-league football but he had a hunger for professional football and looked for an immediate return, that’s when the LFE programme came calling. The programme which places English players at clubs in countries such as Sweden has helped many footballers, like Östersunds goalkeeper Andrew Mills, achieve their dream of a return to the professional game. “I wanted to play professionally again and give it another go. Paul Bartlett from the LFE helped me out massively and got me to a team in Sweden called Ånge IF. And Grayson was certainly good enough. He fired a spectacular 22 goals in 24 games to earn the golden boot and guide his Ånge side (who represent a town of less than 3,000 people) to promotion from the fifth tier in what seemed like a match made in heaven on and off the pitch. “It was very cold but it was very good,” he recalls. “All the Swedish lads and coach were brilliant and I lived with 5 English lads in an apartment so it felt like home also. “They always try to keep the ball on the ground and always had a number 10 which I enjoyed as much as the striker because everything went through to the number 10. It was a successful spell for Grayson but he was soon on the move again and after a brief stint back in English non-league football, he ventured even further from home. 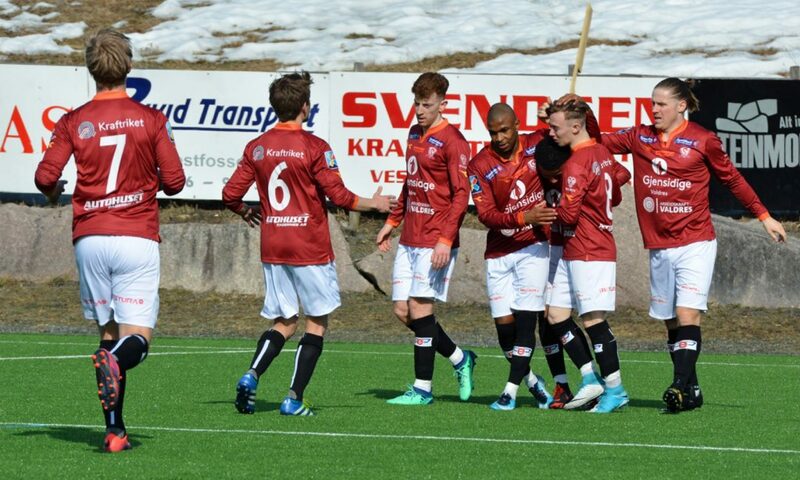 He joined Australian state league side Cumberland United where the football was a far cry from what he had enjoyed so much in Sweden although the move did have its positives. “The football standard wasn’t the best technically. it was similar to England were it’s pumped up to the forwards and they try win the flick on. The former Doncaster man then continued his new routine of returning to non-league football back home before heading abroad again and this time it was to follow a much less trodden path following a tip-off from another Englishman abroad. “The move came about when my friend Adam Mitter, who I won the league with in Sweden, spoke to me and asked if I would be interested in going to the Philippines. After thinking the move over, Grayson got in touch with the manager of Loyola Meralco Sparks, who at the time was Scottish coach Simon McMenemy, the former coach of the Philippines national team. The chat turned into something much more substantial as he made a decision he would not regret. “He said he liked my highlights and wanted me to play up front with the national team captain [former Chelsea youth player] Phil Younghusband. The move saw Grayson take his game to a whole new level. Although the routine was different, Loyola had everything the forward wanted from football. “The Philippines was overall the best football I have played in. It was ran like a professional club with yoga sessions, video analysis every week on opponents and very good technical players. After his adventures in Asia and across the globe, the striker now has a new reality as he gets to grips with teaching alongside playing for Northern Premier League side Buxton but at the age of just 25, another move abroad is not off the cards. “Never say never,” he says. “I’ve only just turned 25 and would love to play full time and experience another country. “Hopefully I’ve still got seven or eight seasons left playing and after I finish I could go back into teaching.